Halloween candy coupon! 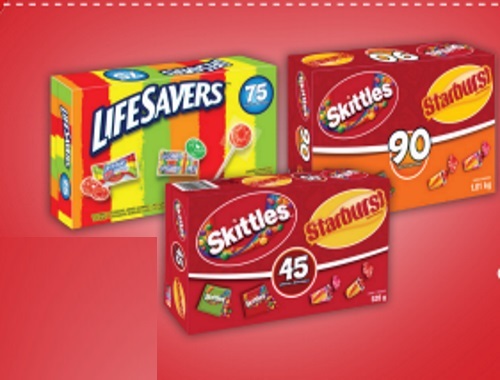 Save $1.50 off when you purchase either Wrigley's Skittles and Starburst 45 piece, Skittles & Starburst 90 pieces or Lifesavers 75 piece box. This is a print coupon, expires October 31, 2016.